If you are a person who abhors fuss, preferring a simple yet eye-catching décor, then the Flower Swastik is perfect for your home decoration this Diwali. Get marigold flowers in bright yellow and orange varieties. Arrange these flowers in the shape of a Swastik, which is considered a holy symbol in the Hindu religion signifying good fortune and well-being. Place small candles or diyaas or diyaa shaped candles at the middle and at the angle of each arm of the Swastik as you see in the picture. This Diwali let your imagination soar by repurposing and reusing common household products such as old newspapers and cardboards, and other items meant to be discarded. 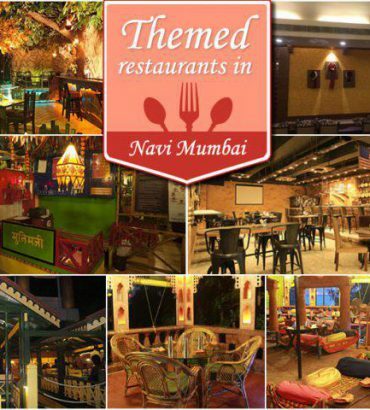 This way your Diwali celebration will be not just unique but also an eco-friendly one. Cut the cardboards and newspapers in the shape of lovely diyaas and paste the newspaper cut-outs on the cardboard ones. 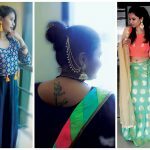 Next, use paint colours, kundan stones, glitter and sequin stones for decorating these diyaas and make danglers out of them using colourful papers quilled at the end. 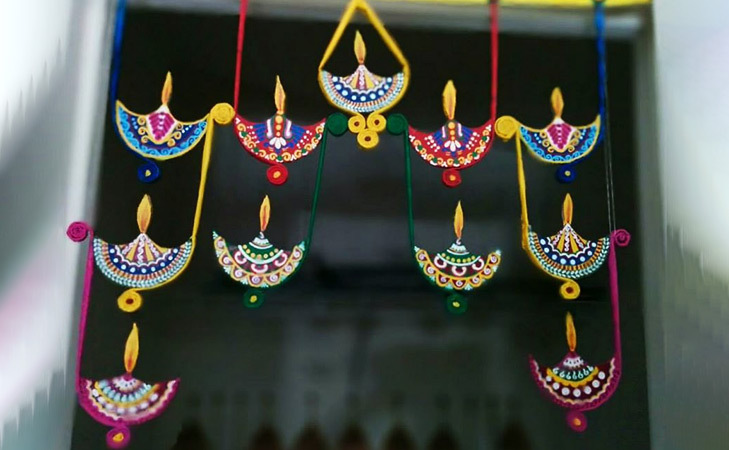 You can hang this diyaa dangler at the entrance of your home or in the worship room on Diwali. 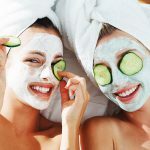 Buy dozens of similar looking small glasses or shot glasses and an equal number of tea light candles in soft colours such as peach and white. Place the tea light candles inside the shot glasses and arrange them around each tier of a glass corner table. Light the tea light candles and watch your home light up with a magical glow. The simple earthen or metal diyaas have a charm of their own that is never lost on our aesthetic senses. They can look even more appealing if arranged in spectacular designs. 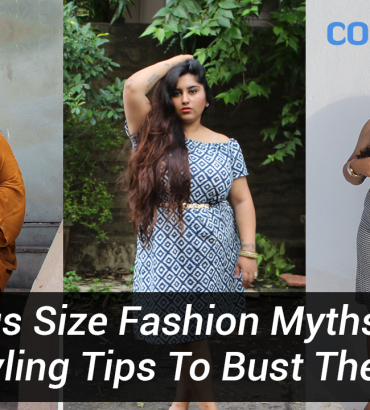 You can create any design by arranging diyaas in a particular way. From simple round designs to the symbol of the Pranava, Om or a huge flower, arrange diyaas in any design that matches your taste and spiff up your home. 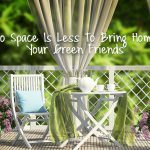 When it comes to quick and easy decorative ideas at pocket friendly prices, paper always proves its handiness. 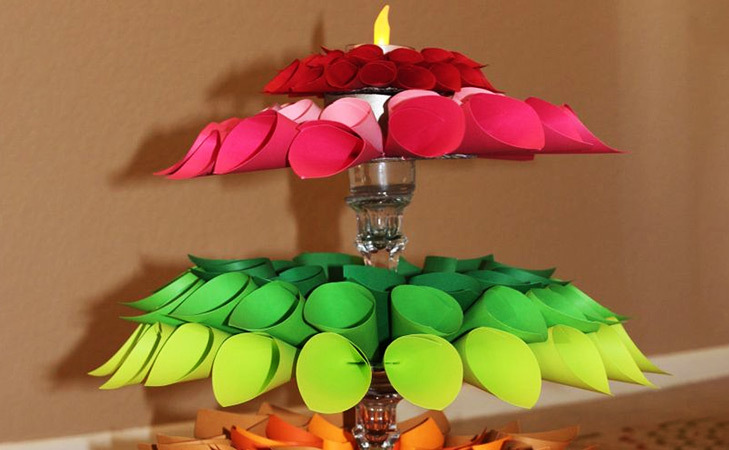 A brilliant way of using paper for your home’s Diwali decoration this season is making paper flower torans. Torans are used for decorating the top of doors, giving the entrance a royal appearance of welcome. 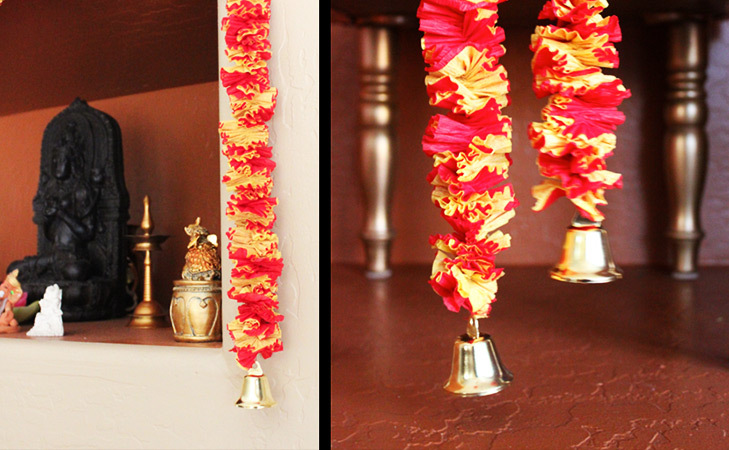 Use two or more coloured papers for making flower shaped, scrunched toran hanging and tie bells at their ends. The empty tins of biscuits, cookies and chocolates that you either throw away or reuse for storing knick-knacks at your boudoir can be utilized for creating magnificent Diwali decoration too. If the tins are big enough then cut them in halves and then wrap them in colourful, printed papers. Take a wooden hanger and hang it from a nail on the wall. Attach the decorated tins to the wall using glue and fix them with the hanger using strings and clips. The bright and vibrant paper lanterns can enhance the beauty of both indoor and outdoor areas of your home with élan, providing the much needed illumination we seek on Diwali. 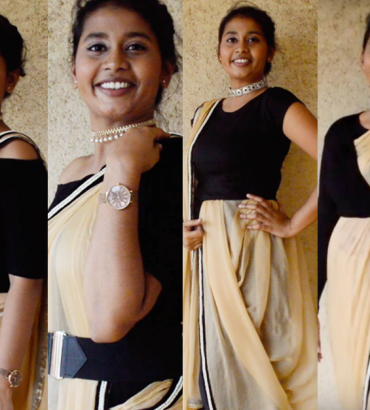 Their oriental glamour can certainly become the talking point among your guests this Diwali. 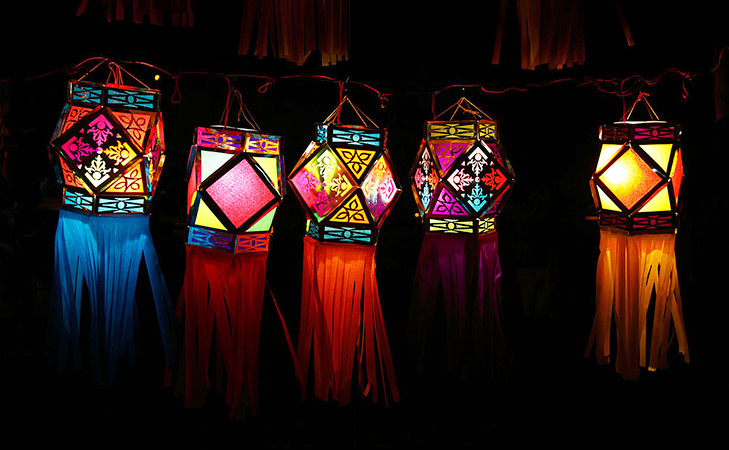 You can purchase readymade paper lanterns or use coloured papers, sequins, and other decorative items to make some at home, on your own. Fringes look really good at the end of these hanging paper lanterns. There is no match to stunning rangolis in amplifying the festive elegance of a home. You can create rangolis at the entrance or along the edge of floors of rooms or on the corners of the stairs using colours ranging from red and yellow to peacock blue and fuchsia. 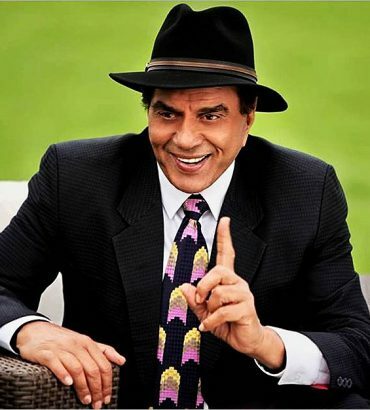 Even if you cannot make perfect rangolis by hand, there is no need to worry. 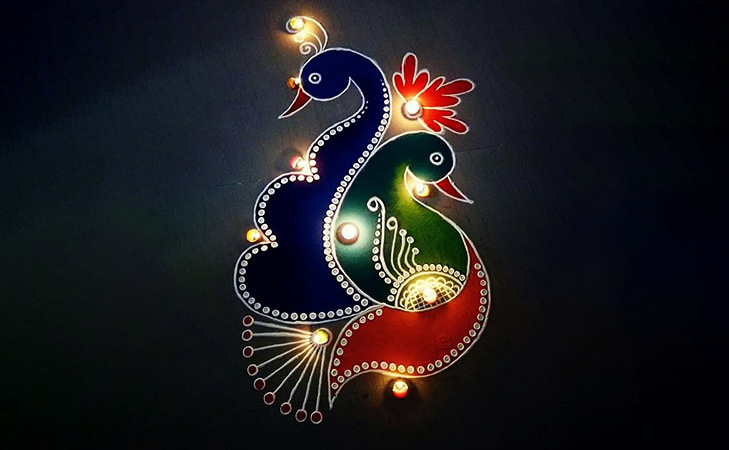 You will find a variety of rangoli stencils and pens in the market for easily making rangolis within minutes and earning accolades from peers. Combine flower petals and diyaas with your rangoli designs to make them come alive. 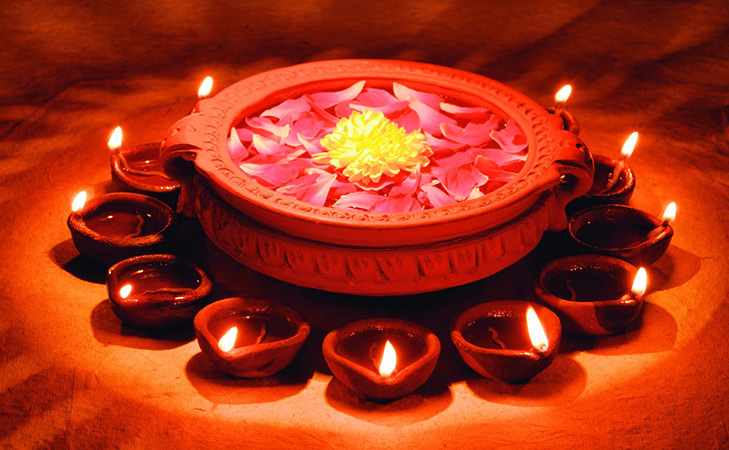 A little bit of DIY effort goes a long way in giving your home’s Diwali décor the exclusive status. 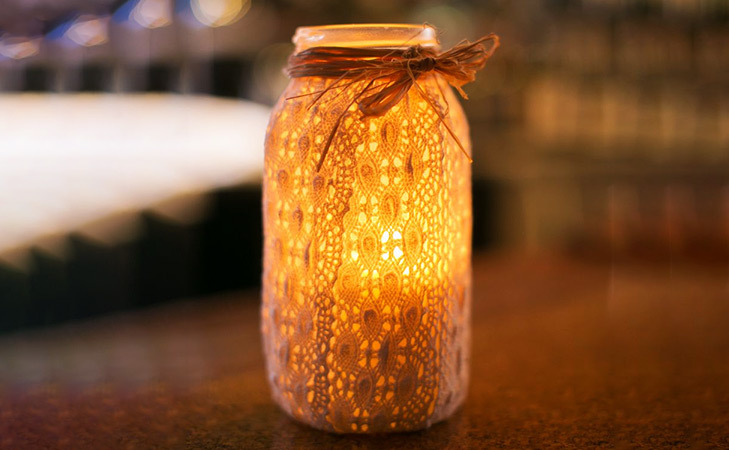 For this you may use some mason jars and transform them into boho lanterns to be placed all around your home. 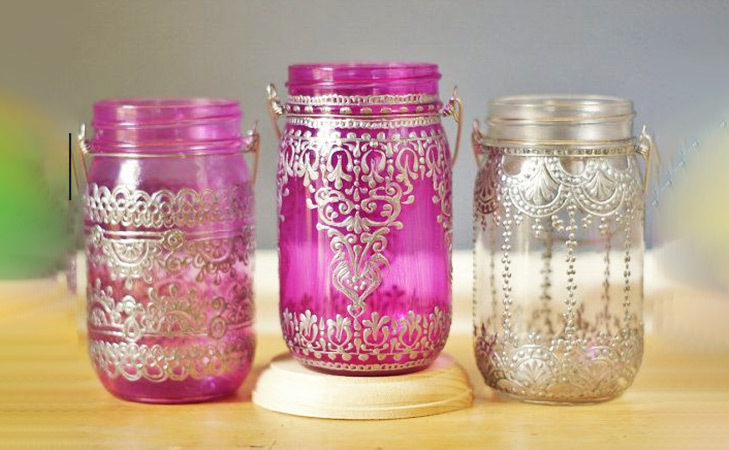 Paint the insides of the mason jars in bright electric blues, golden yellow and wine red colours. Fix stones and sequins on their outer walls for giving them a gleaming appearance. 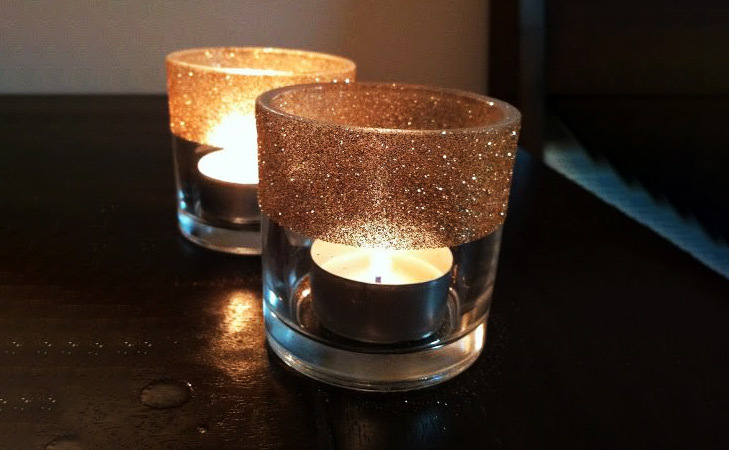 Place tea light candles inside the mason jars and cover their mouths using glitter paper. For a trendy and urban makeover for your dining table on the eve of a Diwali party, you can create a one-of-a-kind centre piece using the long stem wine glasses and diyaas. Turn the wine glasses upside down, place some fresh flowers inside their rim. Place small tea light candles or diyaas on top of the base of the wine-glasses and your centre piece is ready to stun the guests. Get different sizes of jars, such as empty bottles of jams or pickles that usually lie around the kitchen or pantry unused. 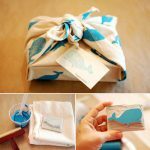 Cover them with pieces of lace and decorate further using different types of materials like ribbons, yarns, paper bows and buttons. Place candles inside the jars and lit them up. This type of decoration offers soft and subtle illumination, adding a mild and majestic glow to your rooms. For a sophisticated, romantic and charming touch to your Diwali décor get some lovely stencil designs readily available online and offline along with some tea light candles or diyaas. On top of each small stencil pattern you can place one tea light candle. 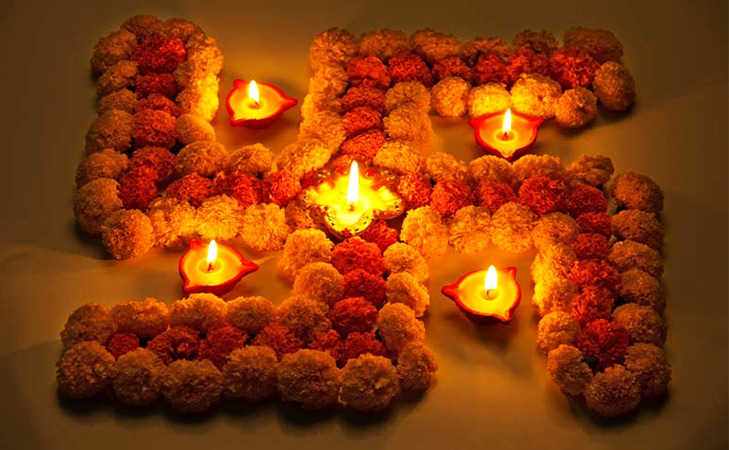 You may also place fresh marigolds and tea light candles alternately at the middle of the stencil designs. Buy craft papers in various colours like yellow, peach, pink, red, green and orange. Now, make small cones by cutting and rolling these papers. Use glue to fix these paper cones to a simple diyaa stand. Make layers by topping one colour of paper cones with another. Also make a small flame like paper cut out and fix it on top of the stand, at the middle of the paper cones. 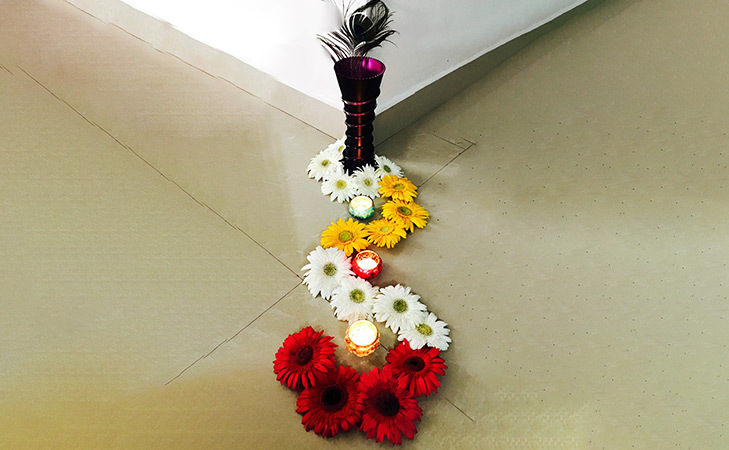 This type of Diwali décor is child-friendly and thus highly safe and suitable for homes with small children. 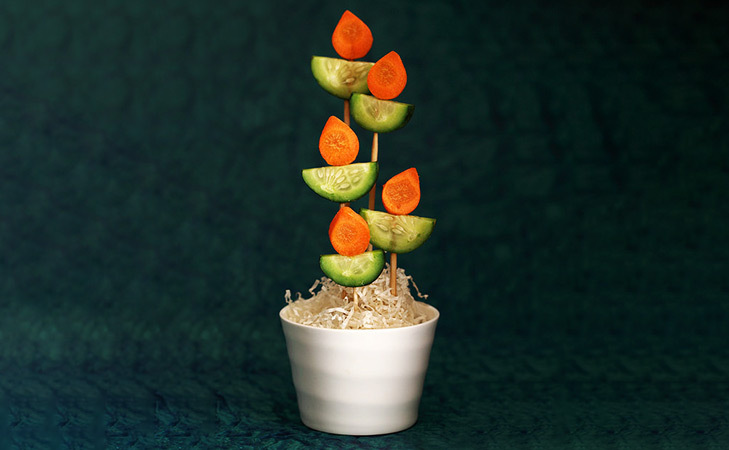 Another child-friendly Diwali décor options to try is the Diyaa Sticks made of vegetables. 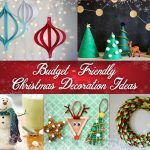 You can enjoy making these decors with your kids at home. Cut cucumbers in half-moon shapes so that they look like the diyaas and the carrots should be sliced like the flame. Use long bamboo sticks for arranging the vegetable slices together in the shape of a lit diyaa. Place all the sticks in a tub filled with paper strips. Take a bright hued flower vase and place two to three long stem peacock feathers or plumes inside it. Place either real or plastic flowers in a serpentine design on the floor, starting from the base of the vase. Place small candles or diyaas on the interior of the curves made of flowers. Such simple yet attractive décor costs less yet enlivens interiors, lending, especially the corners of rooms a graceful ease. 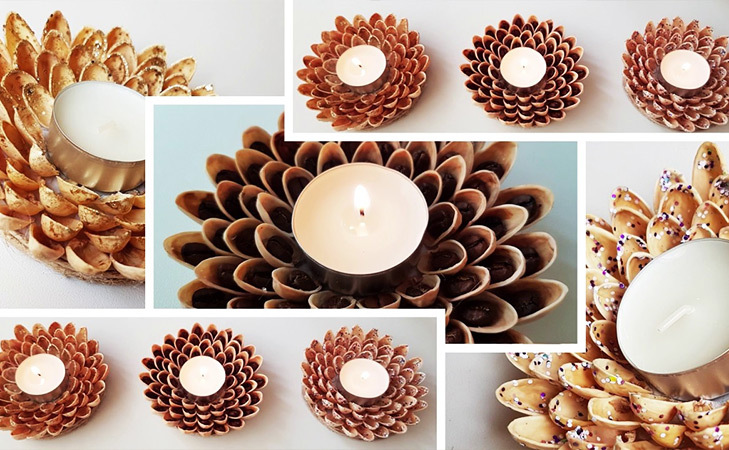 If DIY is your thing and you enjoy doing art and craft projects, then the Pistachio shell candle stick is your ideal choice for Diwali decoration. Collect the discarded shells of pistachios clean them and make sure they don’t get broken. Cut cardboard pieces in a round disc like shape to be used as a base or use old CDs for the purpose. Paint the shells with spray paints or acrylic colours. Fix the shells on the base using a hot glue gun. Place the tea light candle or diyaa in the center for a complete look. Take a sizeable earthen pot and paint it red using a glossy oil paint colour. Fill the pot with petals of bright yellow and orange marigold flower. In the next step, take earthen diyaas and colour them as you please before fixing them with glue on the edge of the earthen pot. 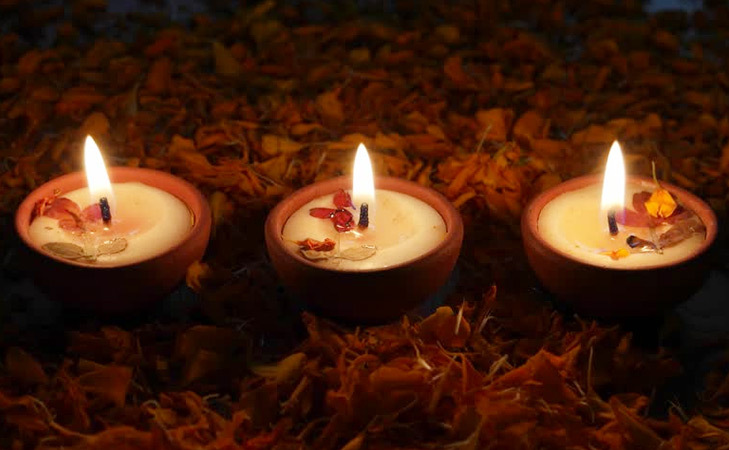 Light the diyaas to check how gorgeous they make your interior look. 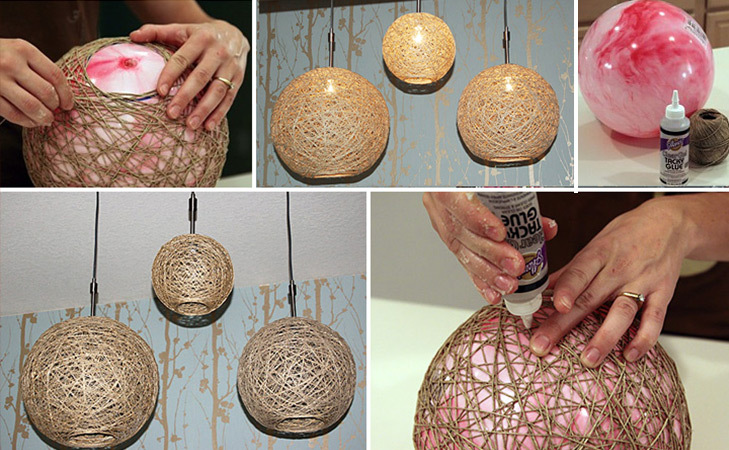 Adventurous DIY lovers can try their hands at the Hemp Twine Diwali Balls this Diwali. First inflate a balloon and tie is end well. Now spread glue on the ball and wrap it with the hemp twine thread. Take a pin to get the air out of the balloon and after deflating it get it out gently. Insert the lighting fixture through the only opening to the twin balls and hang them from the ceiling for a lovely festive look. Those looking for easy and less time-consuming décors should float their candles instead of spreading them throughout the home. 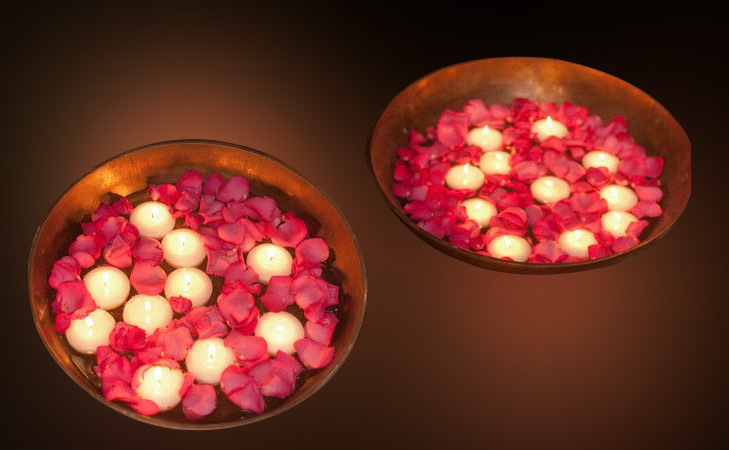 Take deep metal vessels and fill them with water before putting in rose petals. 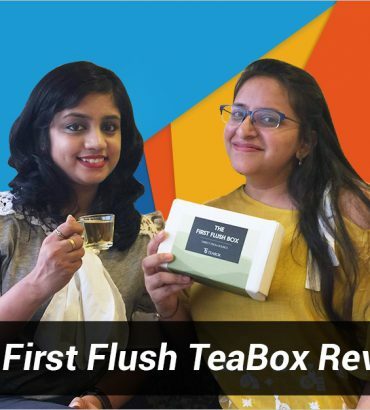 Then float small white tea light candles in it. You can place these floats anywhere from the corner of the living room to the middle of wide steps for a refreshing look. 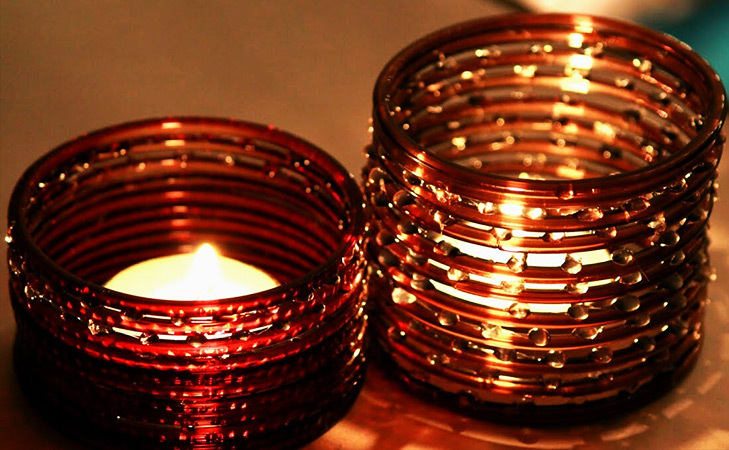 Use some gloss paint and glitter on your regular bangles to givie them a new lease of life. Now touch the inner side of each bangle with little bit of glue and attach them to the plain glasses used every day. 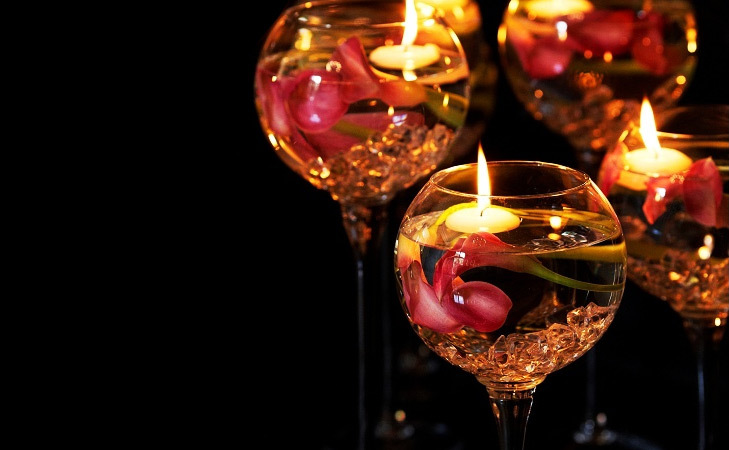 Place candles inside the glasses and arrange these on dining table or side tables. You may put flower petals around each glass for a more distinguished look. Make your very own paper lotus candlesticks for adding the enigmatic glamour of the beloved flower to your Diwali décor. Take three pieces of same coloured paper, fold and cut them to bring out the lotus shape. Attach the parts with each other using glue and place tea light candle in the middle. 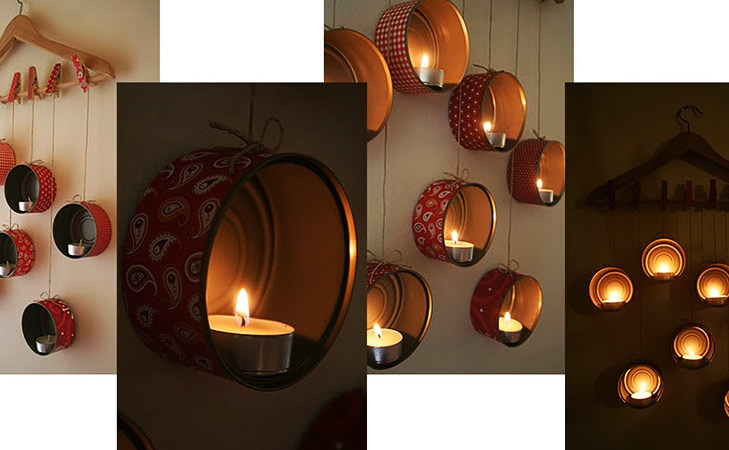 Electric tea lights can be a good alternative for making this décor work. One of the easiest ways to make your festive décor exclusive is adding aromatic elements to it. The cinnamon candles are ideal for achieving this purpose. 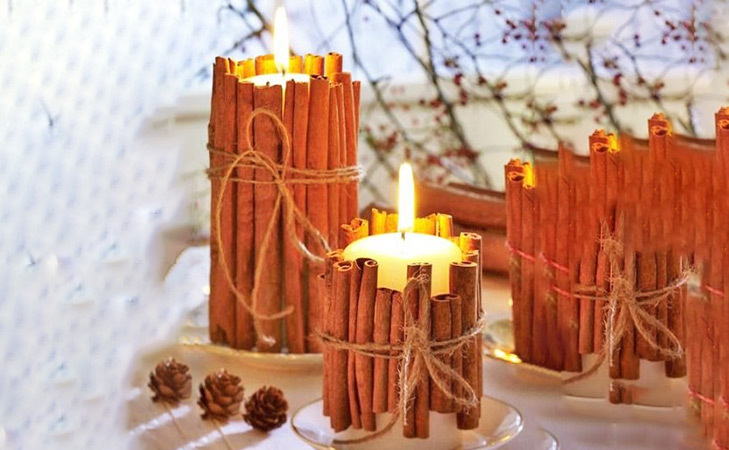 Buy fresh, whole and long cinnamon sticks and arrange them around white candles before tying all of them with twine thread. No matter whether placed in groups or alone, these candles can easily steal the heart of onlookers with serene look and enticing fragrance. Make your very own Ping-Pong lights that can be hung on walls of rooms or from the grills of the balcony. Get dozens of Ping-Pong balls and make holes on one side of each. Insert tiny micro-LED lights inside them and make a wreath of Ping-Pong lights as you can see in the picture. Generally most households have many old plastic soft drink- and squash bottles. 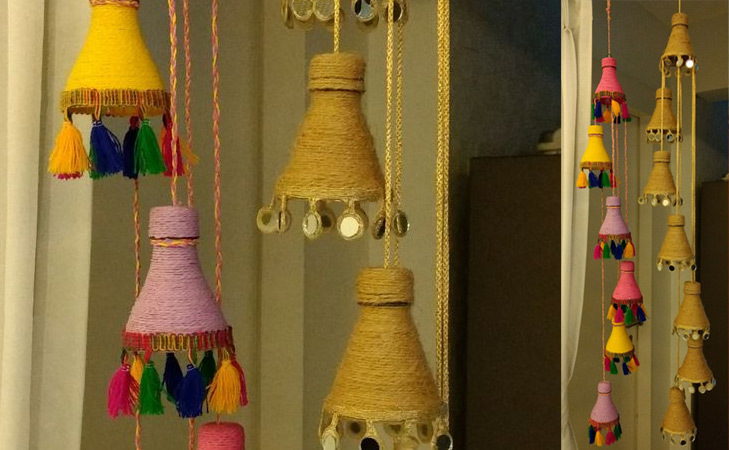 Cut these bottles and keep only the top quarter for making your Diwali hangings. Cover each of the plastic bottle part with colourful threads. 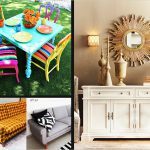 Fringes and pompoms can be used on the lower edges of these plastic décors to make them even more gorgeous. Hang them with well embellished cords or garland strings. Different coloured bottles of wine or even other alcoholic drinks like beer and whiskey can be used for increasing the liveliness of your Diwali decorations this year. 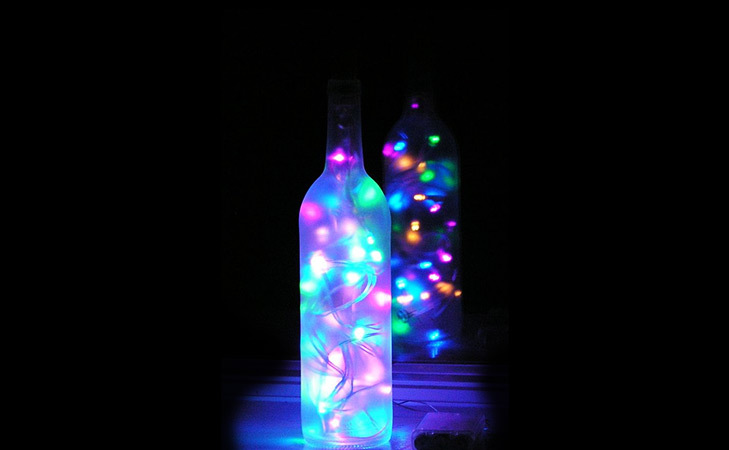 Fill the colourful bottles with bright fairy lights and place them together in the nooks and corners of your house for a glowing and energetic Diwali look. 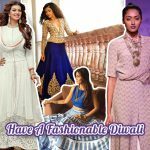 Diwali is the favourite festival for parties, get-togethers and merrymaking in India. 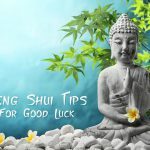 To make this inauspicious occasion even more special you can create a unique array of decorative items using simple household materials ranging from plastic spoons to sea-shells. 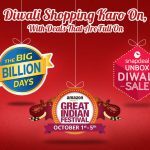 Of course, you will also need lighting fixtures, tea lights, diyaas and a lot of other Diwali special supplies, which are easily available in great variety at Amazon.in and you can use the Amazon Coupons to avail huge discounts. 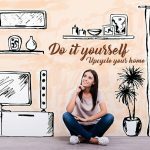 Follow your heart without ignoring your brain and chalk out Diwali décor plans with the help of ideas suggested above.